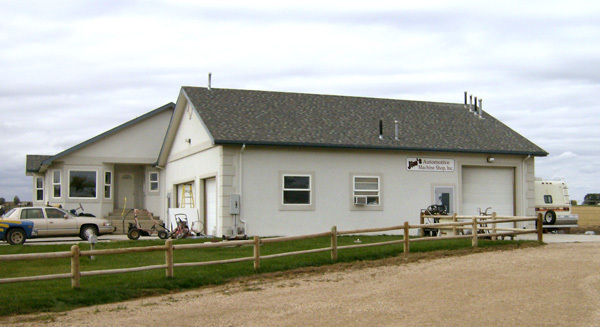 Jimmie Wolfrum, the owner of Jim’s Automotive Machine Shop first contacted Bill Brayden, President of Brayden Automation, in 1997 to find a solution for staying under 25kW demand, the threshold between Xcel Energy’s “C” Small Commercial and “SG” Medium General Service rates. At the time, Jim’s Automotive Machine Shop was located in Greeley, CO. Jimmie had been working with several electricians to stay under the 25kW demand threshold, but “all of their suggestions were complicated.” His brother-in-law referred him to Brayden Automation and suggested their demand controllers. Bill Brayden decided the 9388B was the best option to control Jimmie’s loads and keep his peak under 25kW. 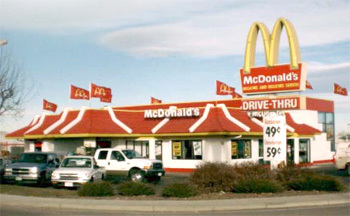 In 1999, Ed Maycumber, Member Services Representative at United Power (an REA) in Brighton Colorado, called on Brayden Automation to help the peak demand problem at the local McDonald’s restaurant. Ed noticed that the restaurant’s peak demands were very high. Brayden Automation contacted the owner and franchisee, Boselli of Colorado. After performing a review of the electric bills, Brayden’s representatives conducted a site survey to inventory the equipment and understand what was driving the building’s peak demand. Brayden found that the store was an all-electric building with electric air conditioning, heating and hot water in addition to the cooking, lighting and refrigeration equipment. Brayden’s analysis found that the load factors were not unusually low, but could be significantly higher for an all-electric building. The load factors averaged 52% for the year prior to control and increased the first year to 71%. Annual reduction in kW demand averaged 23%. Load factors for the first two years averaged 70%. In January 2001 the restaurant had a 81.4% load factor! The total savings on the system yielded a 10 to 11 month payback. At the end of the first two years of operation, the total savings exceeded $12,000. That savings goes directly into the owner’s pocket. United Power is happy because it helped one of their customers. Mr. Boselli was so pleased with the system that he asked Brayden Automation to install a system at one of his other stores. The system has continued to work flawlessly since 1999. Brayden Automation Corp. was contacted in 2008 by personnel from Great Basin National Park in Baker, Nevada after their power supplier Mt. Wheeler Power identified that their peak demand was higher than normal. The Member Services Representative at Mt. Wheeler, Kevin Robison, had worked with Brayden Automation before and recognized the visitor center as a possible demand control application. In 2009, the Park’s budget included funds for doing a demand control job for the Park’s Visitors Center. After completing the purchasing paperwork process, the installation was scheduled. The Visitor Center, being far from any natural gas lines, was an all-electric building and had large heating and air conditioning systems distributed throughout the building. The installation was completed in November of 2009 before the start of the major heating season. 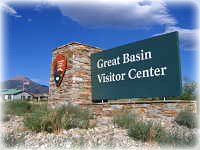 The Visitor Center’s highest peak demand in the 12 months prior to control had reached 82kW but had hit 105.4kW in January of 2008. Since the Energy Sentry was installed, the peak demand has been 50.4kW or less each month, delivering great savings to the Park for this building. In the first 10 months, the savings have been over $1,900. Brayden Automation was contacted in October 2010 by WOW! Children’s Museum in Lafayette Colorado, about high bill concerns related to the demand charge on their electric bill. After they contacted Xcel Energy about the issue, Xcel referred them to the specialists at Brayden Automation Corp (BAC). Bill Brayden took lead on the issue and helped pinpoint the exact factors creating high demand charges for the museum. Most of WOW!’s demand issues were due to large air conditioning loads operating simultaneously. This was causing large peaks and valleys in electric use, which in turn reduced efficiency and created high peak demand spikes. WOW! was kept below 25kW allowing them to move from the SG Rate to the more cost effective C Rate in November of 2011. WOW! anticipates their yearly savings to be around $2,600.